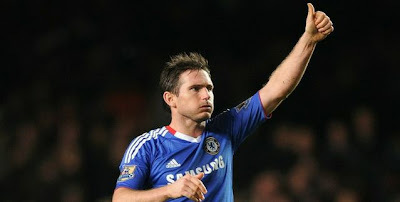 Everton v Chelsea: Lampard to return as we look to kick on. Chelsea travel to Goodison Park in the FA CUP's lunchtimes kick off and it's a game I am really looking forward to. We've turned the corner, look like we have confidence back and are scoring goals again and I expect Chelsea to kick on from our fantastic result at Bolton on Monday. However, Everton away is always a hard game as they give everything for each other, the manager and their fans and will see the FA CUP as a welcome distraction. As we all know (especially this season) anyone can beat anyone on their day and Everton will look to get a result against us. Chelsea need to play well to get a result. Carlo has spoken yesterday ahead of the game and revealed that he is only considering one change to the side that took to the pitch at The Reebok and that is the returning Frank Lampard after recovering from his calf strain. An honest Ancelotti stated that he isn't quite sure if he will start the game or feature on the bench today but for me, Lampard has to play. Frank Lampard has a fantastic record against Everton and scores goals especially at Goodison. I wrote an article for The Mersey Juror giving a Chelsea perspective of the game and mentioned within that article that the Chelsea midfield without Lampard isn't the same as one with him in it. As you all know it's the threat he poses and his work rate without the ball that is missed when he doesn't play and up against the hardworking Everton side, Chelsea will need him today. I predict that Ramires will step aside this afternoon, harsh on the Brazilian I know especially after his goal the other night. Ramires is beginning to find his feet in England and is growing into our game. Carlo has a chance to rest him today and I believe he will do so. So it will be Mikel, Lampard and Essien lining up today. Didier Drogba and Nicolas Anelka look to be getting their goal scoring touch back and their form. Drogba's fantastic strike at Bolton will give him confidence and could inspire him to go on a run of games scoring goals so Everton need to be aware of Drogba today but, he needs to get the better of the Everton defence today. Nicolas Anelka really impressed me the other night. He was everywhere and really looked like he was hungry for the ball, for the game and for goals. Let's hope it wasn't a flash in the pan and he continues his form into today. Chelsea need Drogba, Anelka and Malouda to all play well today, their movement is key and can cause problems to anyone we play. Everton will have their work cut out as long as they play well. As for Everton, I featured the Everton view last night on the game and they aren't exactly confident ahead of today. For me you know what Everton is all about and what to expect from them. You know they will work hard with and without the ball and will look to capitalise on set pieces. Tim Cahill is a big big miss for them and the obvious goal threat he poses is missing. Everton will look to Felliani to try and fill the void today so Chelsea need to deal with him. Everton have goal threats of their own in Louis Saha who always loves a game against Chelsea and Jermaine Beckford. Both of them have an eye for a goal so we need to keep them quiet but for me it's about their wide men today that could cause Chelsea problems. A key area for me is our right hand side. We all know just how well Leighton Baines played at Stamford Bridge. As the game progressed, Baines grew into the game and became more and more of a threat. It was Baines' cross that led to their equaliser at the Bridge as he skipped past three players and had time and space to compose himself and pick out a perfect ball in the box. Jose Bosingwa needs to play well against Baines today. I just hope that Bosingwa can force Baines back towards his own box more often than dealing with Baines in our own half today. Everton will look to Baines to attack today and would more than likely see our right hand side as a weakness. Michael Essien needs to double up with Bosingwa and negate the threat posed by Baines today. On the other side Seamus Coleman is a player who has impressed me. Like Baines, he will look to attack Chelsea down the flank and it will be interesting to see how he gets on against Ashley Cole as Cole remains one of our most consistent defenders and in my view the best in the League. I have said it before and I will say it again. Chelsea need to work hard and play well to get a result. 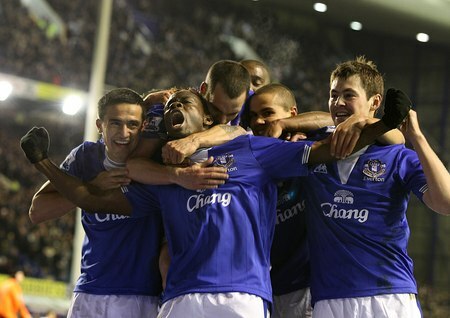 Everton will believe that they can force a result against Chelsea today. If this game was taking place a month ago I wouldn't be so confident but the fact that Chelsea seem to have turned the corner, are scoring goals again, look tighter defensively and are playing with confidence will prove to be the difference. A tight game but Chelsea to nick it by a single goal. Come on the Chels!